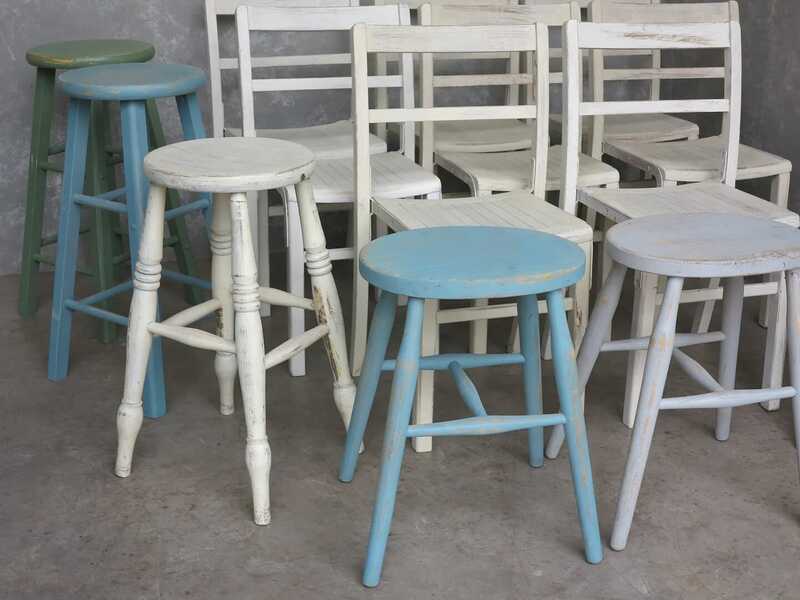 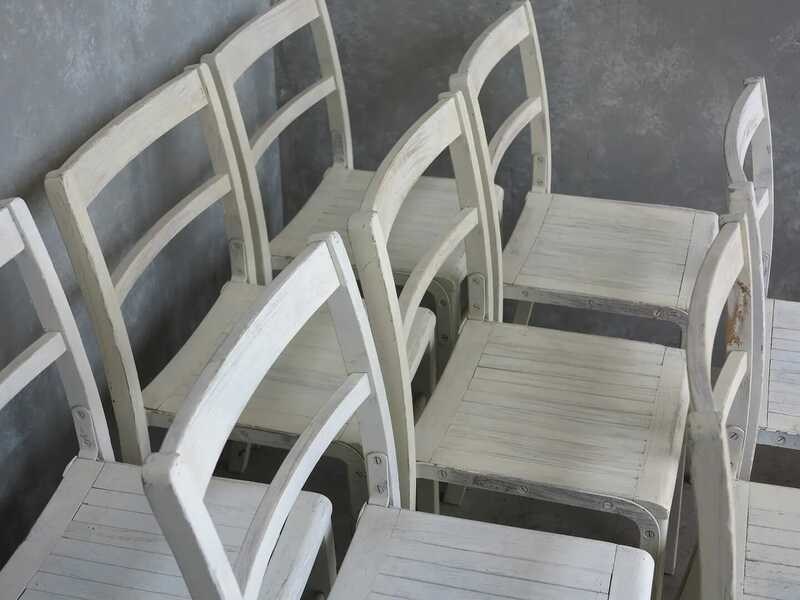 A lovely batch of hand painted chairs and stools reclaimed from Storrington Chapel, The Royal School of Bath and St Johns Church in Woking, Surrey. 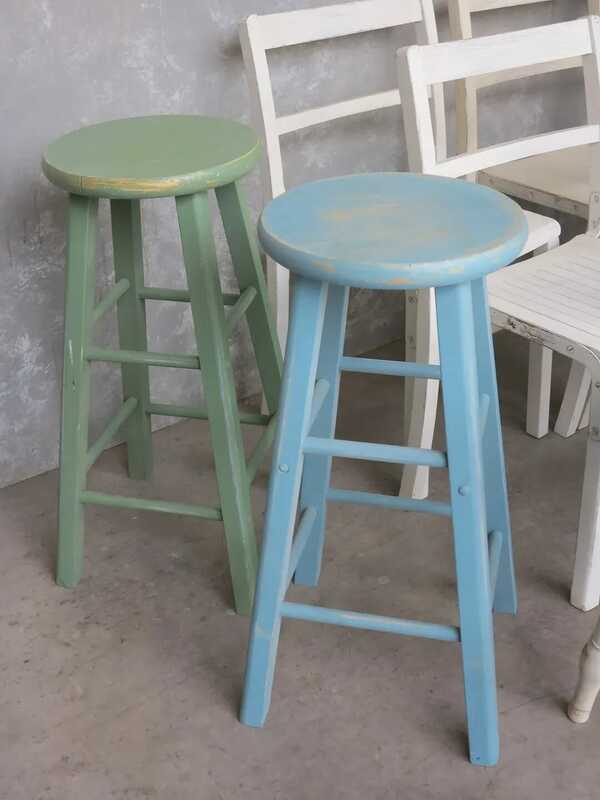 Stools: 27" Tall x 2 - 24" Tall x 3 - 20" Tall x 2. 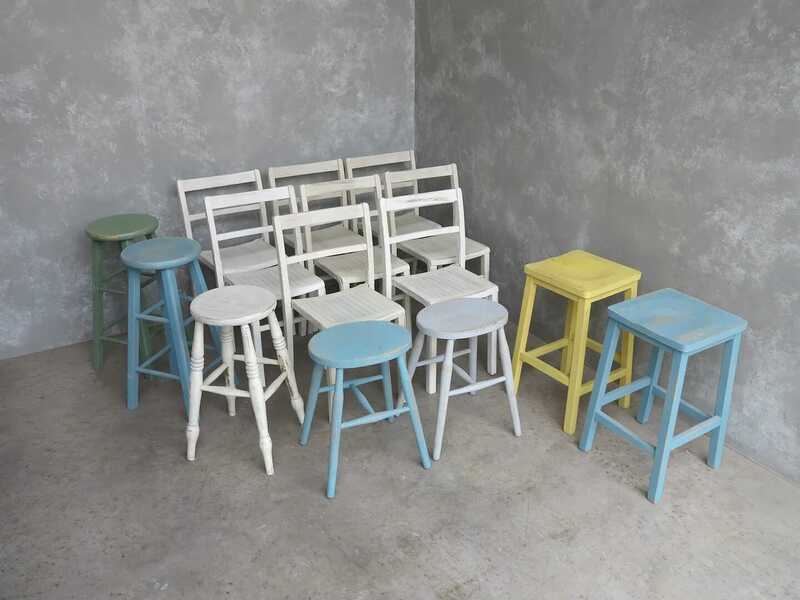 Stacking Chairs: 6 x cream and 2 x white. 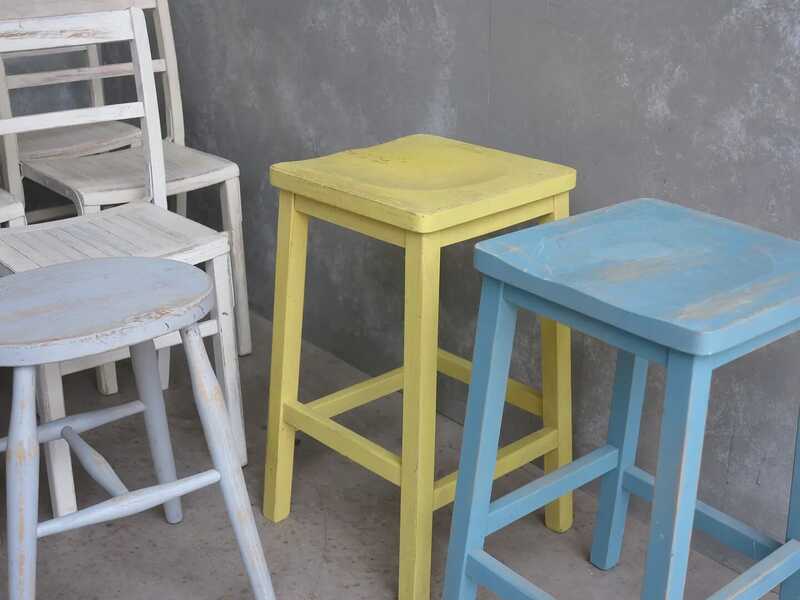 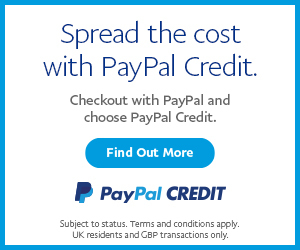 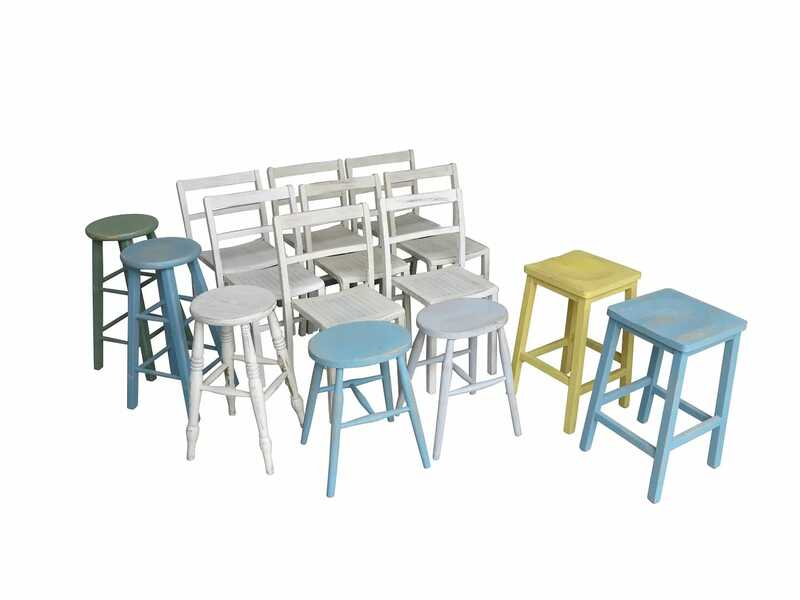 We can deliver up to 4 stacking chairs or stools for the advertised delivery price.